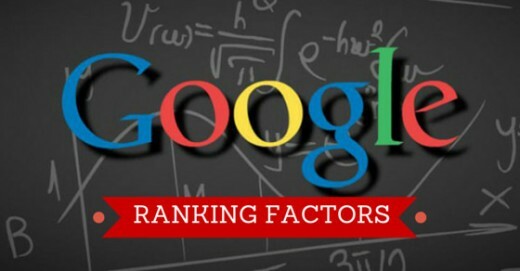 Google’s Ranking Factors in 2018: What Is the Most Important Ranking Factor to Rank in 2018? Those days are gone when you were able to rank just using keywords in your content, meta descriptions or just by just creating some more backlinks than your competitors. Now Google is too much smart in 2018, not less than Einstein’s brain. Content is the first thing Google looks at. Though Bill Gates is no one of Google, they probably liked his quote ‘Content is king’. I’m kidding. Content is the most important issue for all search engine, not only for Google. I’ve seen many articles ranked from new or relatively new websites, even without any backlink. The reason is that the content was great and of course unique. One important thing I would like to share with you that Google doesn’t only see the uniqueness of the content of that page, they consider the uniqueness of the content across the whole website. So if you think that you can rank with only one great content, keeping other content thin or duplicate, you are nothing but a fool. Here I have to bring RankBrain again, as this algorithm can store all your history and can tell Google at the right time when you publish a great content ‘Hey, don’t push him through the first page, he has fake and thin contents all over his website’. Not only that, RankBrain can also store information of user engagement, CTR, bounce rate etc. So how you can tell RankBrain to push you up in Google search result? Simple, you have to improve user engagement, CTR, bounce rate etc. How can you improve? Nothing but with a great content. Produce a long, informative, user-friendly content without keyword stuffing, you don’t have to tell Google to push you up. After a certain time, Google gradually brings your content in the first page. Post long content, include relevant topics in that content and make sure that the visitor will not bounce from your site to find something on another website. As per the study of Brian Dean, founder of Backlinko, average content length of the first page is 1900. So try to increase the content length as much as you can. Optimize images for faster download of the page. Google gives priority to the website which loads fast. Use relevant outbound and inbound links to help visitors find the relevant things, where necessary. Use great infographic images to make your content eye-catching, this will increase dwell time and pass a signal to RankBrain that peoples keep reading your article for a long time. Use a great SEO title to increase CTR by using power words. This is another signal to RankBrain that peoples click your article more than others in the search result. It’s all about hack the Google algorithm ‘RankBrain’ and makes him understand that users like your content more than your competitors’. For other on-page SEO tips, see articles of Backlinko. Optimize your content maintaining that and keep rocking over Google.